After hitting the weights hard again on day 5, this fat burning workout is meant to give your muscles and your mind another day off from the weights. Although the workout looks extremely easy, don't take it lightly. This fat burning workout is one of the best that I have put together to effectively get that stubborn fat to start metling off. Do the best you can, and when your done, stretch and rest. By the way, you should congratulate yourself after finishing this workout. You are half way to completing the Fat X exercise and diet program. Here's the free fat burning workout video. Go on to the free fat burning workout video for day 7. 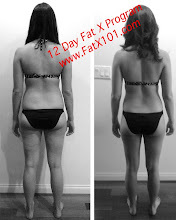 Download the Complete FX 12 (Fat X Program) Workout Routine and Manual. i am a 15 year old boy who gained 8pounds on vacation i was wondering will your videos work on my body? will i lose at least 5 pounds? as i cant really follow your diet i just try to watch what i eat very closely. i am on day 5 when will i start to see changes? ps. i dont really have a bench so what can i do to subsitute the first excercise of the video on this day (6)? 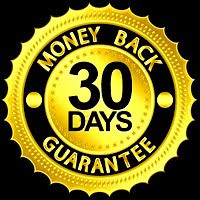 This program will work at burning off fat on anyones body if you can get it done. If you can crawl under a bench, just crawl on the floor a few feet. I love your workouts but this one KILLED my knees! Yes, I too dont have access to a bench to jump over. What should i do? You can place your hands on the floor and jump over an object on the ground. A total of 4 times at 24 minutes?